Australian violinist Simone Slattery is one of the country’s most versatile young musicians and performers, with a passion for music from a wide range of eras. Her performances nationally and internationally, on both modern and baroque violin, have received critical acclaim. Simone has appeared as soloist, recitalist and chamber musician throughout Australia and overseas, and regularly performs with ensembles including the Australian Haydn Ensemble, the Melbourne Chamber Orchestra, the Australian Brandenburg Orchestra, the Orchestra of the Antipodies, Ironwood Ensemble, Adelaide Baroque, the Adelaide Symphony Orchestra, the Australian Romantic and Classical Orchestra, Academia Arcadia, and Ensemble Galante. Her Festival appearances include: the BBC and Snape Proms (UK), Musica Viva Huntington Estate Music Festival, Woodend Winter Arts Festival, St. Johns Feast of Music Festival, Brisbane Baroque Festival, Organs of the Ballarat Goldfields Festival, and the Adelaide, Melbourne, Sydney and Perth International Arts Festivals. After early studies on violin, recorder and voice, Simone began her formal violin studies at the University of Adelaide Elder Conservatorium of Music, graduating in 2009 with first class Honours (during this time she also sang with the award winning Adelaide Chamber Singers). She then took up residence in Melbourne for two years to study at the prestigious Australian National Academy of Music (ANAM), where she performed alongside artists including Anthony Marwood, Pekka Kuusisto, the Eight Blackbird Ensemble, Brett Dean and Simone Young. Simone has attended summer schools and mentorships in Australia, Canada, America and Europe, including: Australian Youth Orchestra programs, Yellow Barn Festival (USA), Domaine Forget Festival (Canada), The Britten–Pears Festival (UK), and the Wallfisch Band Summer Course (Italy). Her mentors have included: Paul Wright, William Hennessy, Elizabeth Wallfisch, Davide Monti, Donald Weilerstein, and Ian Swenson. 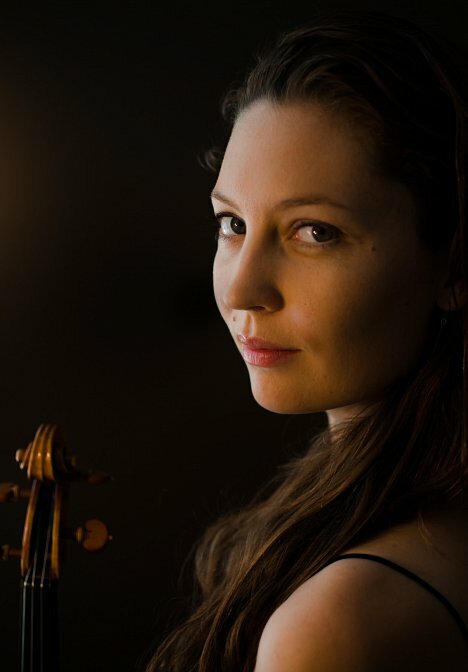 In 2012 Simone undertook a residency at the Banff Centre in Canada, and from 2011 to 2014 was a Britten-Pears Young Artist, performing as concertmaster of both the modern and baroque orchestras. She is the recipient of awards and scholarships from the Ian Potter Cultural Trust, the Thomas Elder Overseas Fund, the Australian String Quartet and the Elder Conservatorium of Music; and in 2014 was a finalist for the prestigious Jumpstart Jr Organisation in Amsterdam. Simone is an Australian Post-graduate Award candidate, undertaking PhD studies at the University of Adelaide, where she is creating editions and recordings of the little known violin works of Ernest Bloch. Simone loves her various violins (each with its own personality), her trusty suitcase, her family, friends, mentors, and incredible colleagues. She thinks her life is pretty great. © Simone Slattery 2016. Photos by Emma Woolcock.